Run, don’t walk, this exhibit is about to close. Image of the Studio: A Portrait of New York City Graphic Design. At the Cooper Union in NYC. Visit the new Web site of Common Name, the design studio of Yoonjai Choi and Ken Meier. Tons of beautiful and smart work, in particular the current American Institute of Architects exhibition Design by New York. By any chance if you find yourself in Chicago, The Chicago Design Museum is open from June 1-30, 2012, in a 6,000 sq./ft. location in Chicago’s Humboldt Park neighborhood. CHIDM will host five exhibitions drawn from local, domestic and international sources. CHIDM will also be hosting events for students and professionals, presented within the context of our curated exhibitions. There is no fee to attend the museum, but there is a suggested $10 donation per visit. The Chicago Design Museum is a collaborative effort between Mark Dudlik and Tanner Woodford, and is part of Lost Creature: a non-profit 501(c)(3) that aims to bridge culture and creativity with community projects. 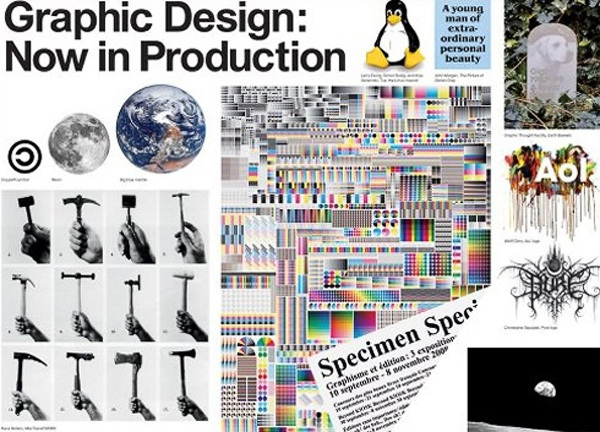 Co-organized by Cooper-Hewitt, National Design Museum and the Walker Art Center, Graphic Design—Now in Production explores some of the most vibrant sectors and genres of graphic design today. The rise of user-generated content, alternative methods of printing and distribution, and the wide dissemination of creative software have opened up new opportunities for design. Featuring works produced since 2000, Graphic Design explores the worlds of design-driven magazines, newspapers, books, and posters; the expansion of branding programs for corporations, subcultures and nations; the entrepreneurial spirit of designer-produced goods; the renaissance in digital typeface design; the storytelling potential of film and television titling sequences; and the transformation of raw data into compelling information narratives. 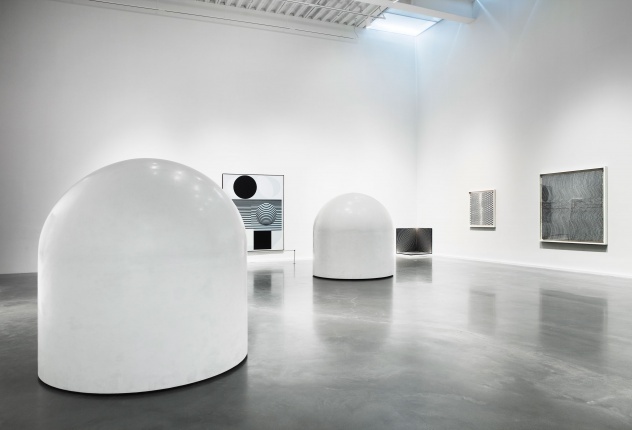 The exhibition is divided into two sections, with the first featuring an abbreviated timeline of language in modern art culled primarily from drawings, sculptures, prints, books, and sound works from MoMA’s collection. Artists in this historical section of the exhibition include: Carl Andre, Marcel Broodthaers, Henri Chopin, Marcel Duchamp, Ian Hamilton Finlay, John Giorno, Kitasono Katue, Ferdinand Kriwet, Liliane Lijn, Filippo Tommaso Marinetti, Bruce Nauman, Lawrence Weiner, and others. Artists in the contemporary section of the exhibition include: Ei Arakawa/Nikolas Gambaroff, Tauba Auerbach, Dexter Sinister (David Reinfurt and Stuart Bailey), Trisha Donnelly, Shannon Ebner, Paul Elliman, Experimental Jetset, Sharon Hayes, Karl Holmqvist, Paulina Olowska, Adam Pendleton, and Nora Schultz. The exhibition is accompanied by a publication designed and produced by Dexter Sinister.